Learn More About Me And This Site. I'm back!! I took some time off from working on my website to focus on healing from this terminal cancer. As of June 5th, 2018 this brain tumor which was the size of a golf ball back in Sept. 2014, is now so small it can't be measured! I am almost CANCER FREE!!! However, I have just recently run out of my own money and am now living off the Gov't. My sister suggested I start a Go Fund Me Campaign to raise money to support me being on a very healthy organic lifestyle and finally be cancer free. Here is the link to my go fund me campaign. Anything you choose to donate no matter how much is greatly appreciated. I am incredibly humble and grateful. As of September 9th, 2017 I have been off chemotherapy since November of 2016. When I was first diagnosed 3 years ago, the tumour was the size of a golf ball. Now it is the size of my fingernail on my little finger. It's also fragmented - broken up into little pieces. I walk an average of 12 blocks a day, some days 22 to 26 blocks still completely unaided - no walker or cane. My weight is good at 178 lbs and my blood pressure is excellent at 118 over 74. I am very close to being completely cancer free. I feel so grateful and thankful. On Feb 4th, 2017 I had an MRI for my 3 month checkup. On Feb 14th I got the results from my oncologist. NO CHANGES!!! The brain tumor is not growing and not shrinking. I have my next appointment with my oncologist May 9th. Feel great. Yesterday I walked unaided (no walker or cane), 32 blocks. Not tired at all. Workout with a dumbbell every 2 days, stretch and do yoga every other day. Going to transition from food is comfort to food is medicine this Saturday. I am also a recording artist. I create original compositions on guitar and bass with my best friend of 35 years. All instrumentals covering a wide range of musical genres. Stay tuned for our brand new web site offering our highly melodic tunes for sale. I had a brand new home care worker come over to my apartment. Never met her before. Played her 2 songs of our music. She was so emotionally moved she had tears in her eyes. I have completed 20 rounds of oral chemotherapy. My last meeting with my oncologist was Nov 22, 2016. I had an MRI on Nov 13, 2016. The tumor is NOT growing and not dissolving. I am now in remission. The tumor has dissolved 75%. I walk unaided on average 8 to 16 blocks a day. I workout with weights every other day and stretch and do yoga on my days off from lifting weights. I do a self esteem affirmation speaking out loud 10 times in front of a mirror, every day. I also take supplements each day - probiotic, multi-vitamin and mineral, digestive enzymes and an immune system enhancing supplement. I eat mostly organic. I feel good, not great, still experiencing some little "wobblyness" when I walk and have sporadic double vision because of the 25% remaining tumor. It is affecting my overall balance and my vision pathways. Starting next month I am going to start a 21 day eating program called Eat Fat Get Thin. I don't need to lose weight. My weight has stabilized at 169 lbs. My body mass index is at 23 which is great for my height - I am 5ft 11 inches tall. I need to let go of the coffee, cream and sugar. My nurse came over on Nov 23rd. She took my blood pressure - 118 over 84; resting heart beat - 51 and oxygen consumption at 97%. She pronounced me "fit as a fiddle". The healing continues. There is nothing to fight. Cancer cells are NOT strong, overpowering, healthy, robust cells. They are weak cells. I have cancer the cancer does not have me. Cancer demands change. I am changing!! What are the lessons in having this cancer? What's out of balance? These are the questions I am now dealing with. I just finished my 19th month of oral chemotherapy. The tumor has dissolved approximately 75%. The most I've walked is 30 blocks in one day, unaided, no walker no cane. I am now lifting weights every other day. My intentional weight loss has leveled out at 60 pounds. I now weigh 169 pounds. I am writing 2 books, one non fiction the other fiction. The healing continues!! In Sept 2014 I was diagnosed with having an inoperable brain tumor - aggressive, malignant and terminal. Given 3 to 12 months to live. I was in shock!! I remember going for a walk in the hospital hallways with 2 therapists, one hanging onto a belt that was wrapped around my waist and me hanging on to a walker, dragging my right foot. Today I just completed my 14th round of oral chemotherapy - 5 days on and 23 days off. The tumor has shrunk 70%. I am living on my own in Vancouver, am mobile and independent. I can now walk up to 20 blocks unaided. I no longer snack at night, eat organic and do self esteem affirmations speaking out loud in front of a mirror. I have shed 45 pounds of excess weight (not because of the cancer) and am now at my ideal weight. Cancer cells are weak cells, not strong cells that overtake healthy ones. There is nothing to fight. Surrender to the cancer (doesn't mean giving up). Accept the fact I have cancer, the cancer does not have me - keep my personal power rather than giving it away. Learn to put myself first in my life. Open up and let the love in. Allow myself to be loved and supported. Stop being an island. Do what I love doing. The costs are too high to not do this. Hi folks. My name is Dave and I am the owner of self esteem help now. Here is my story of how I got here. I failed miserably at my first business 15 years ago. I ended up bankrupt and depressed. Shortly after, I was diagnosed with cancer and they didn’t think I was going to make it. For some unknown reason, I refused to give up and started healing. They couldn’t believe how much weight I was gaining, after losing 30 lbs before entering the hospital. I wrote 4 positive affirmations every day and listened to guided meditation tapes. I refused to let the Doctors and nurses relate to me as just a body. Even the surgeon and I were on a first name basis. Looking back, I sincerely believe if not for my training in increasing my self esteem, I wouldn’t be here today. I am so thankful and grateful for that experience. It helped to reinforce what really is important in my life. I also learned the value of forgiveness. I made some mistakes. That’s okay. Learn from the mistakes. After fully recovering, I joined my wife at the time, in organic vegetable farming. We then started another business in online organic food ordering. We were successful at both businesses. Today I am the proud owner of self esteem help now.com. This is what I am most passionate about in my life. I must give back what I have received and I have received a hell of a lot. I spent 15 years, and thousands of dollars and hours, increasing my self esteem. My life is completely different now. I am in a new relationship after being married for 20 years. Louise is the love of my life. 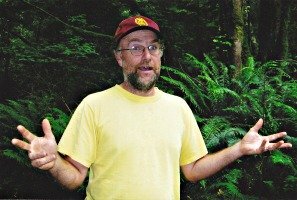 I am working full time at a Post Office in Gibsons, BC Canada. Though I don't like the job I am grateful for it. It’s allowing me to do what I love. I am a big believer in know who you are, there is nothing else to seek, and follow your bliss. I intend to retire at the end of next year from the “day job”, and continue writing what I know - self esteem and organic food! Dave Abbott, March 15,2014, Gibsons, BC Canada.